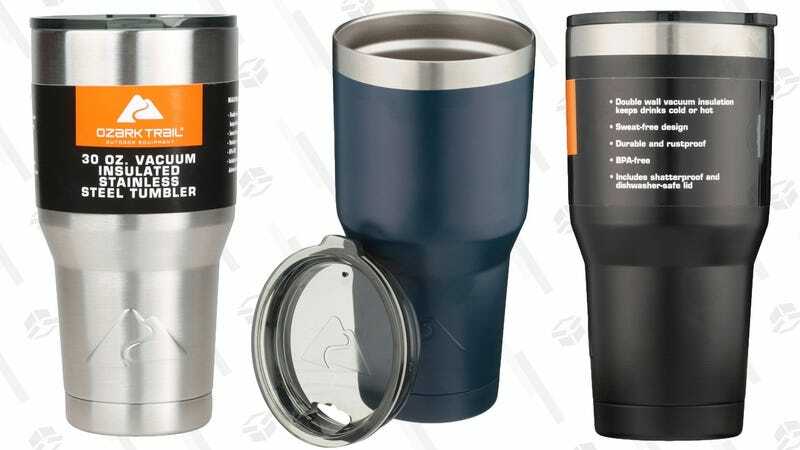 Before you go out and flush $30 down the drain on a Yeti Rambler, check out this Ozark Trail alternative for just $9 on Walmart today in a variety of colors, one of the best deals we’ve ever seen on this kind of thing. It uses the same vacuum-insulated stainless steel construction as a YETI or RTIC, so it should keep ice frozen for hours or even days, and hot drinks hot for as long as you need. That’s a solid $3 less than Amazon’s price for the same model.